While the borewells are running dry across Bengaluru, Bannerghatta Biological Park (BBP) officials expressed concerns over regular supply of water to animals. Bengaluru: With temperatures set to rise due to summer and groundwater going below a record low and borewells running dry in many areas in Bengaluru, the Bannerghatta Biological Park (BBP) officials are concerned about the regular water supply to animals, birds and reptiles housed there. As the existing borewells are not able to supply three lakh litre of water daily, the authorities are contemplating adding three more borewells. Talking to Asianet Newsable, Kushalappa, deputy director of the BBP said that the primary concern is about Hippopotamuses as the tank requires over 50,000 litre of water to keep the animal submerged and cool. The BBP has over 2,000 animals, birds and reptiles and to keep them hydrated and cool, regular water supply is essential. "We have eight borewells and due to the continuous drought-like situation, to keep the 2,000 hectare of park area cool is a challenge. Apart from animals, trees and plants also require water since we may encounter water crisis. We have decided to pump an additional three borewells,” he said. 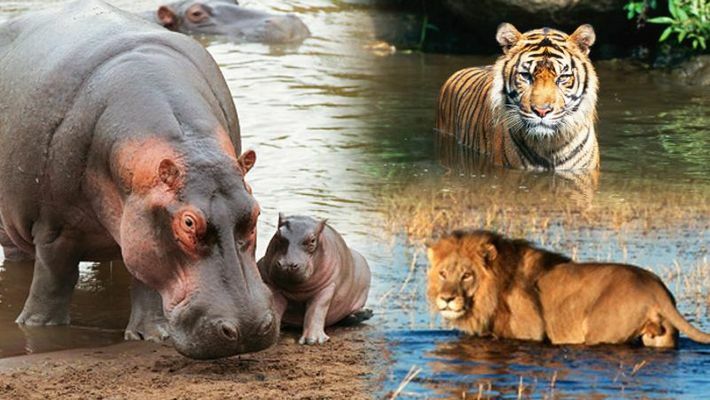 Apart from Hippopotamus, large animals like Bison, Sambar deers, lions, tigers and crocodiles should be taken care from scorching heat and hence it is important to fill water in their respective ponds. "Due to hot weather between March and May, we usually supply water every week and Hippopotamus tank should be cleaned and again fresh water should be allowed to keep the animal healthy," said a staff who works at BBP. Apart from water scarcity, the officials also fear of fire in the premises and have already come up with signages to educate the public from keeping away from cigarettes, lighters and other items that can result in fire accidents.